Consider this a placeholder post for some thoughts that need developing. The issues involved here are immensely complex but of first-order importance for those who care about genuine human flourishing. Today I just want to juxtapose two quotations. 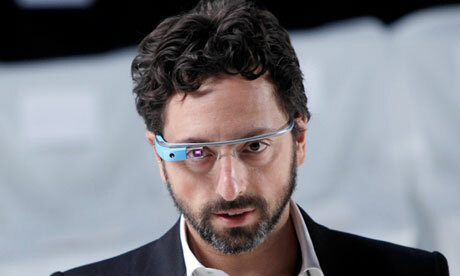 What I find most troubling is the philosophy underlying Larry Page and Sergey Brin’s thoughts on devices like Glass. They say that Glass’s goal is to get technology “out of the way,” but that isn’t it. The idea is that we will all be better off if we’re always connected to the web, always on, and have uninterrupted and instantaneous access to it and humanity’s “knowledge.” The idea that Page expresses is that if I can immediately learn about something I don’t know much about, I’ll be better off. I’ll be able to make smarter decisions and live a deeper, richer life by spending the time it would have taken to research and learn about something on more meaningful and substantive tasks. I think, though, that is a terribly deluded and shallow understanding of what it means to “learn” about something. When we — humans — learn about something, we are not simply committing facts to our memory so we can recall them in the future. That’s a very tiny part of a much larger and much more important process. To “learn” about something is to study the information (when historical events occurred, what happened, etc), find connections between it and other things we’ve learned and experiences we’ve had, and to synthesize it into something greater — knowledge. Knowing, say, the Pythagorean Theorem in isolation isn’t of much use, but connecting it to your need to identify another object’s location suddenly makes it very useful. And more abstractly, knowing Roman and Greek history isn’t very useful all on its own, but being able to learn from it and apply its lessons to current political difficulties might prove very beneficial. Because of the cultural vacuum in their earlier education and because of the informal education they receive from the communications media, which both shape and reflect the larger society, today’s liberal arts students come to college, it seems to me, bearing a sort of relativism verging on nihilism, a kind of individualism that is really isolation from community. The education they receive in college these days, I believe, is more likely to reinforce this condition than to change it. In this way, too, it fails in its liberating function, in its responsibility to shape free men and women. Earlier generations who came to college with traditional beliefs rooted in the past had them challenged by hard questioning and the requirement to consider alternatives and were thereby unnerved, and thereby liberated, by the need to make reasoned choices. The students of today and tomorrow deserve the same opportunity. They, too, must be freed from the tyranny that comes from the accident of being born at a particular time in a particular place, but that liberation can only come from a return to the belief that we may have something to learn from the past. The challenge to the relativism, nihilism, and privatism of the present can best be presented by a careful and respectful examination of earlier ideas, ideas that have not been rejected by the current generation but are simply unknown to them. When they have been allowed to consider the alternatives, they, too, can enjoy the freedom of making an informed and reasoned choice. If Kagan is right, then one of the greatest challenges educators face — in any time — is to awaken students from their “dogmatic slumbers.” (This is what Kant said reading Hume did for him.) That is, students need to learn that they have been for almost all their lives the passive recipients of what the dominant culture around them designates as knowledge. Michel Foucault was right when he referred to that dominant culture as the “power/knowledge regime,” because dominance is precisely the command of the power that decrees what counts as knowledge. But if awakening students from those slumbers has always been the task of the true educator, that task is all the more difficult in a time of technologies of knowledge, or “knowledge,” that asymptotically approach omnipresence. Google Glass, along with a whole range of similar technologies, enforces the very passivity which truly liberal education is concerned to defeat. Technological futurism and solutionism (to borrow a term from Evgeny Morozov) are looking more and more like the chief enemies of a truly liberal — liberating, empowering, humanizing — education. Posted in Education, Technology. Tagged Google, Evgeny Morozov, Kyle Baxter, Donald Kagan, Michel Foucault.